Hi Guys! Put on some sunglasses on, it's going to get really bright in here...haha! Well more like neon bright. 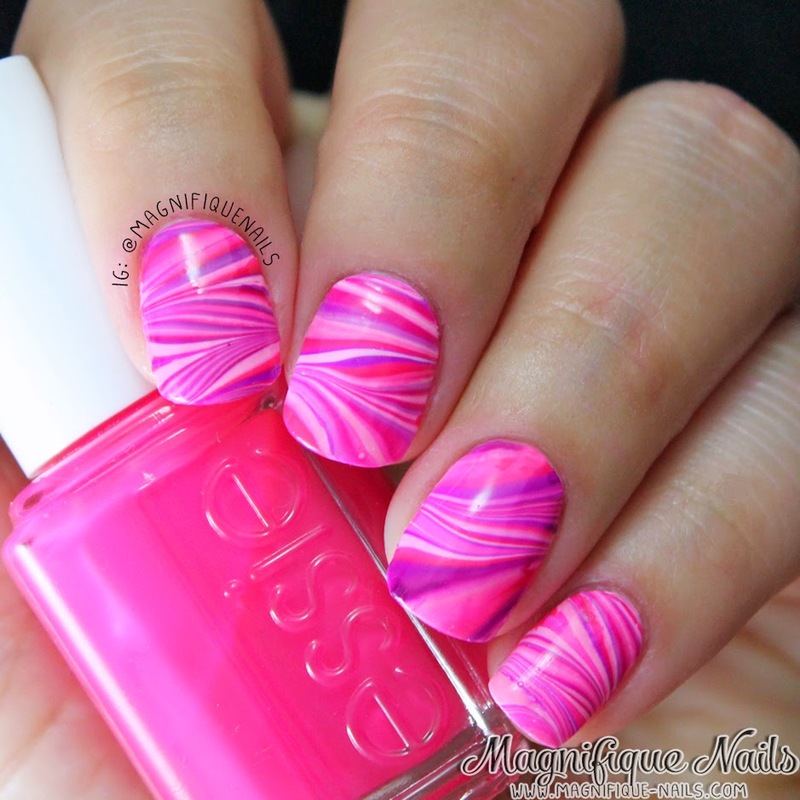 For today's post I have another Alphabet Nail Art Challenge: W for Water Marble. I have two parts in this challenge since (believe it or not) its my first time ever doing water marbling. I know! 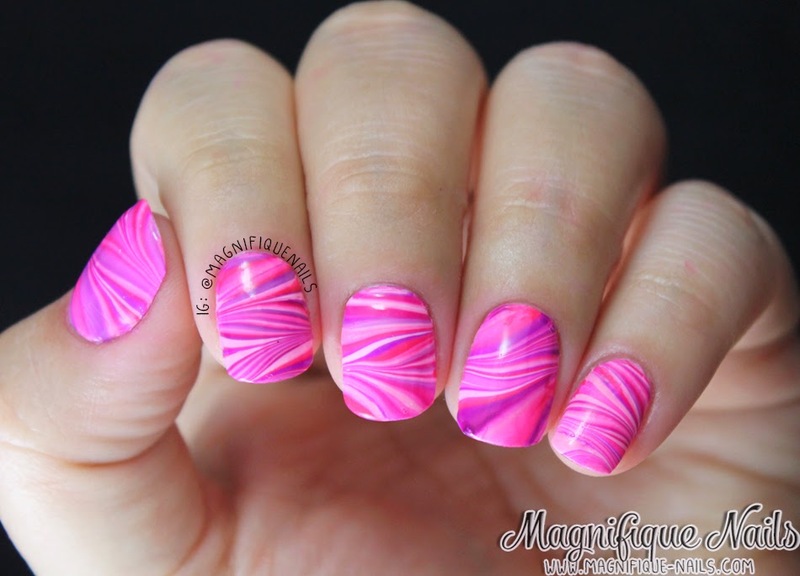 Since were getting close for Valentines, I wanted to do something bright and pink water marbling. So I was browsing online and, of-course, I stumbled by a tutorial by Mucking Fusser sideways chevron. I really liked the design and wanted to try it. Staring with the base I applied two coats of OPI Alpine Snow. Once the base dries, I added Essie's Boom Boom Room, Bottle Service and DJ Play That Song in cup of water. I then repeated the colors using a toothpick to form the sideways chevron. I added each finger carefully to create the design. Lastly, I sealed the designs with Duri- Super Fast Dry Through Top Coat and that's it! Overall I really loved how they came out and how each nail are different from one another. Most of all the color combinations were my favorite. I just couldn't resist to use neon's for this challenge. Hope all of you enjoyed my post today! What do you guys think? Let me know in the comments below!